Traditionally used as a flavoring for couscous and a rub for meats, harissa is most commonly found in Tunisia and the Saharan desert region where its flavor is prized for adding oomph to stews. Lo happened upon her first taste of this delicious condiment during a trip to Tunisia, where the locals ate the peppery paste spread simply atop slices of crusty fresh French bread. It took her years to stumble upon one of the best flavor pairings ever -- harissa and orange (see our Orange and harissa roasted chicken recipe). But, once she discovered it, we couldn't get enough. The sweet acidity of orange juice marries incredibly with the smoky, rich flavor of the harissa, and even (dare we say?) tames its sharp heat into something quite manageable. During the winter, this flavor combination is a delicious flavoring for crisp, comforting roasted chicken. It's also a great combination to complement simple vegetables. 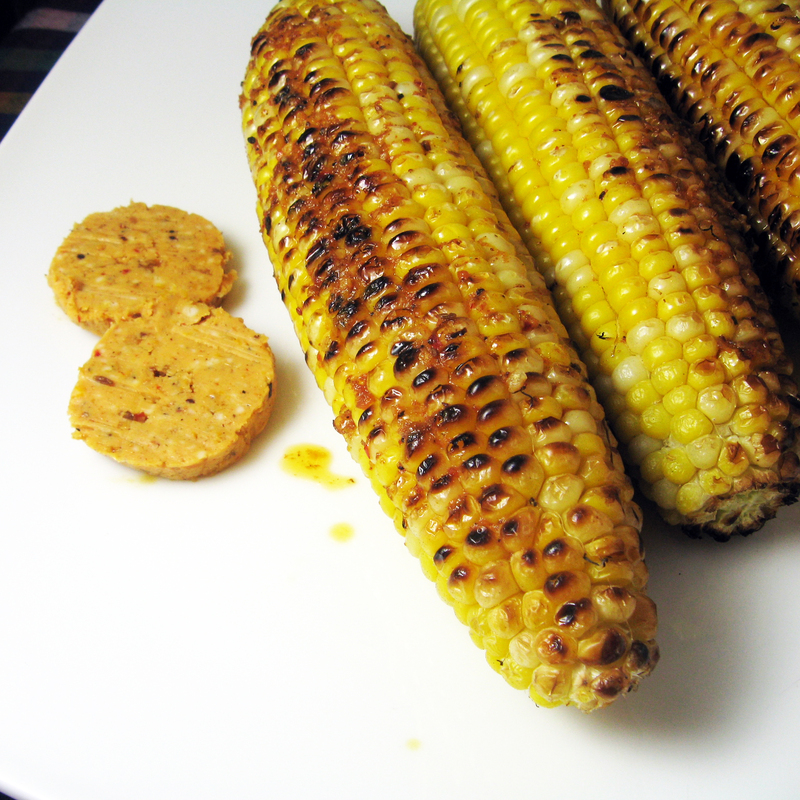 But, we love it equally as much captured in a delicious compound butter that’s perfect for summer grilling. Try the butter over a flaky filet of grilled fish. Experiment with it as a delicious finish for your next steak. Spread leftover butter on bread for a different take on ordinary grilled cheese. 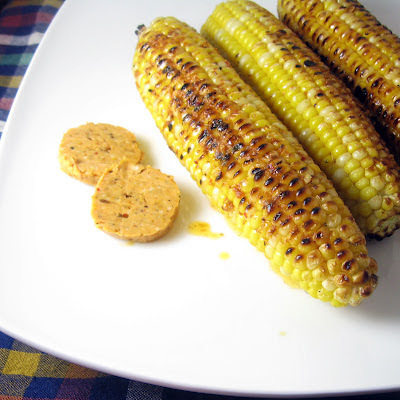 Or do as this delicious recipe suggests and spread a generous pat of that smoky, citrusy butter atop a cob of succulently sweet grilled summer corn. You won’t be sorry. I absolutely adore harissa. We put it on pizza and I love it in my tuna salad. I will have to try it as a compound butter with orange (sounds delicious! )- on roast chicken it sounds heavenly. Love the idea of corn as well!